Has Been Office Furniture sells a variety of new, refurbished, and used office chairs. Quality second hand office chairs provide a great alternative to buying new chairs, which can be a costly exercise. We sell expertly re-upholstered office chairs as well as professionally cleaned and refurbished second hand office chairs. Ergonomically speaking, your office chairs form the most important part of your office furniture. 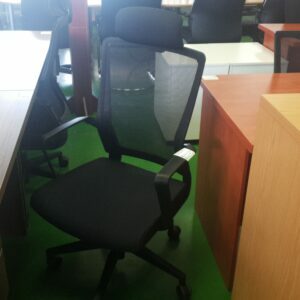 Office chairs we commonly have in stock include high back office chairs, synchro back operators chairs, knee chairs, boardroom chairs, leather chairs, visitors chairs and couches, computer and typist chairs, as well as draughtsmans chairs for sale. 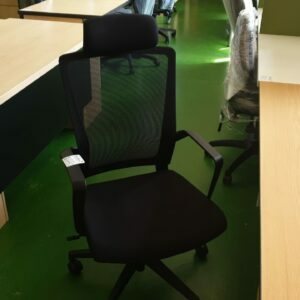 Buying used office chairs means that one can get quality office chairs at a fraction of the cost of buying them new, but we do also offer a full range of brand new office chairs in Gauteng. Get a quote for new office chairs, find a bargain on sale online, or visit our Randburg showroom to test out the various office chair options available. Should you wish to match an existing type of office chair, email us a picture and we will be happy to see if we have something similar in stock. We will send you a formal quotation as well as a picture. We also provide cost effective office chair repair services. We offer a walk-in service as well as a call out service. We do not charge an additional call out fee when we deliver any quantity of office furniture, so check your office chairs for any faults and we can bring the necessary parts to do the repairs at your premises. Has Been Office Furniture has a broad range of office furniture on display in our showrooms including office desks, pedestals, boardroom tables, reception desks, carpet protectors, credenzas, filing cabinets, steel shelving, bins and much, much more.. Contact us for all your office furniture requirements and get the best selection, prices and delivery.